The very convenient station for commuters which you can switch the trains. 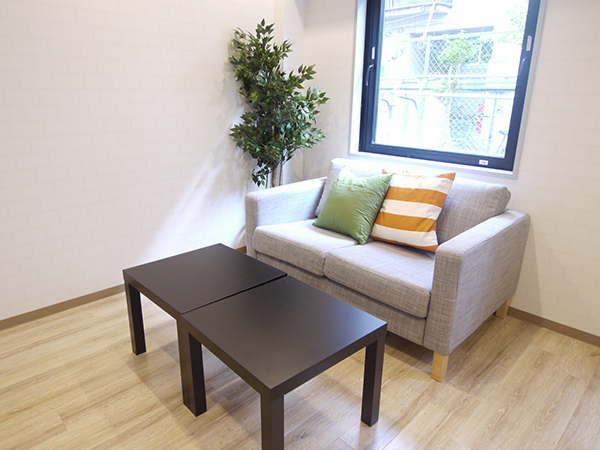 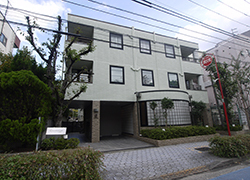 12 mins from Kayaba station, 13 mins from Nihonbashi station, 15 mins from Otemachi, and 19 mins from Kudanshita. 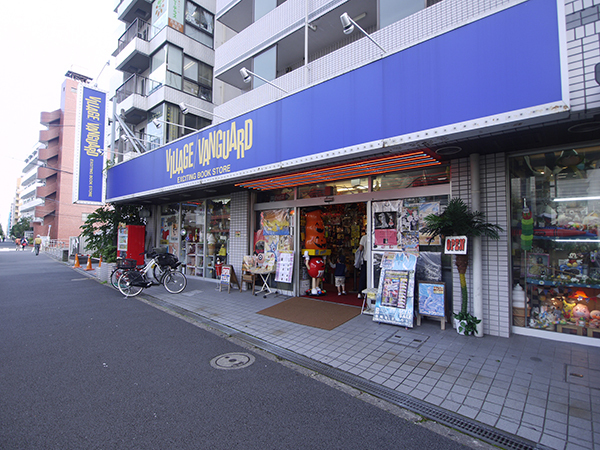 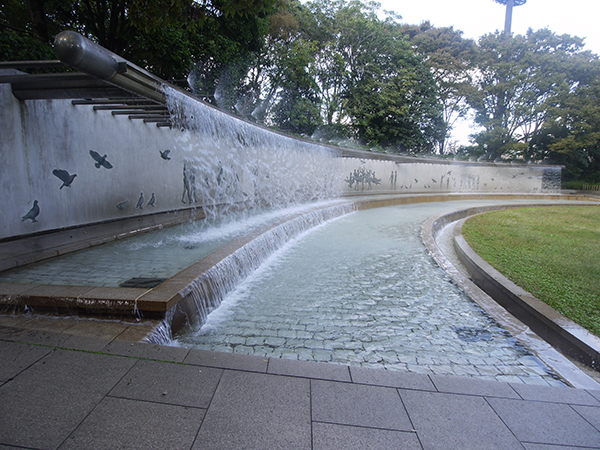 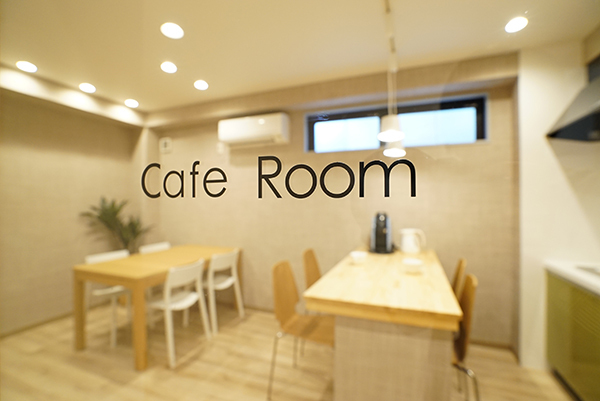 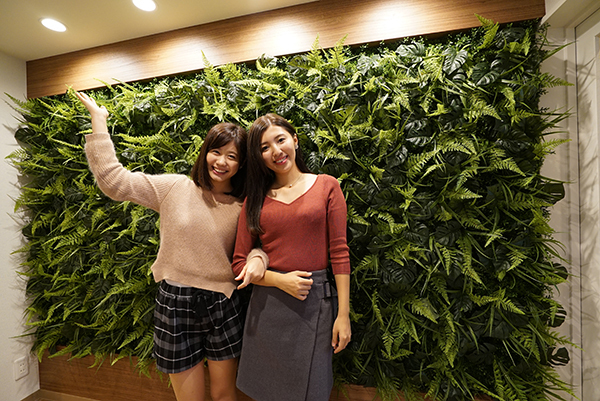 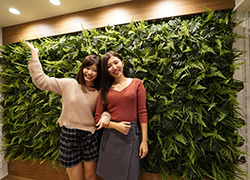 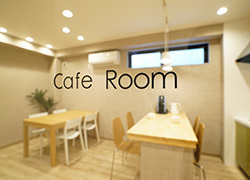 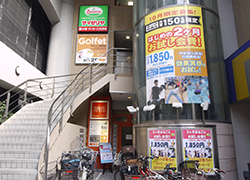 Recommended for those who do activities around Ginza and Akihabara as well. 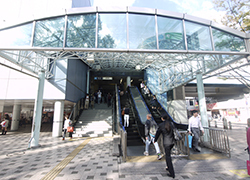 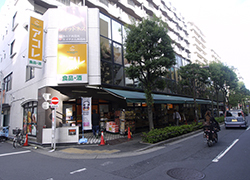 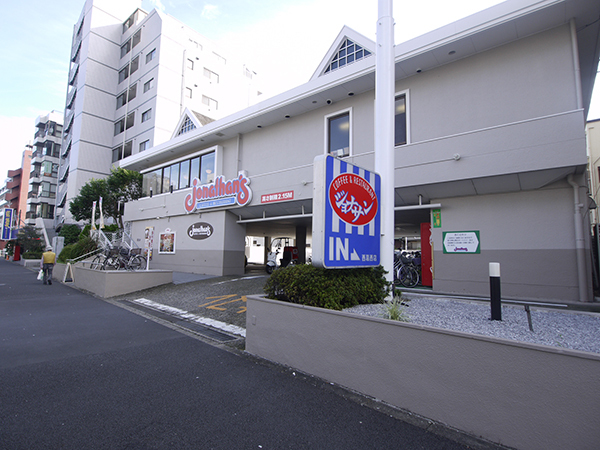 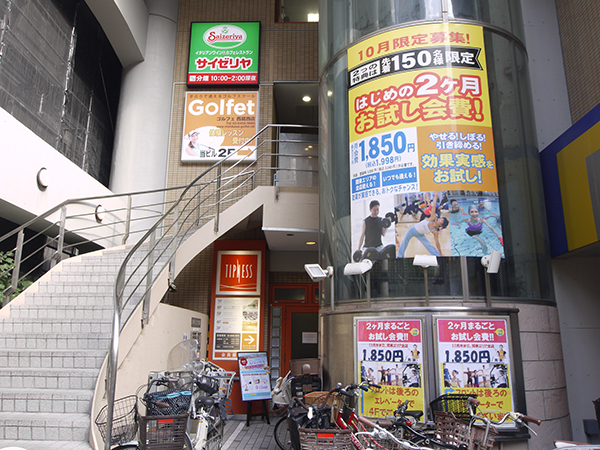 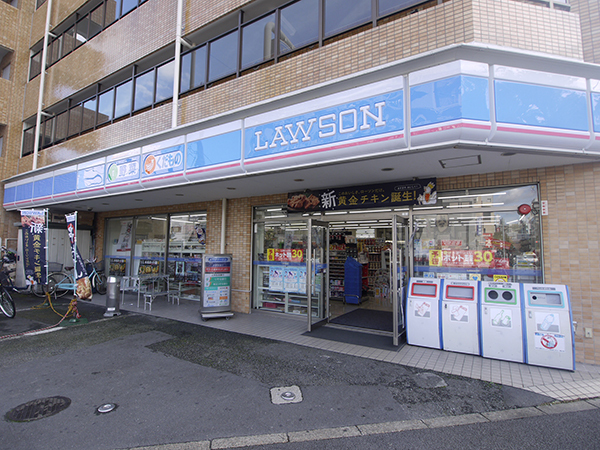 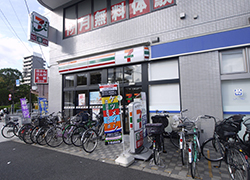 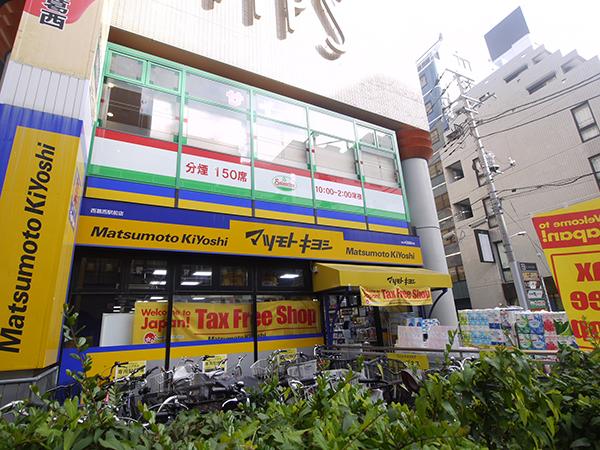 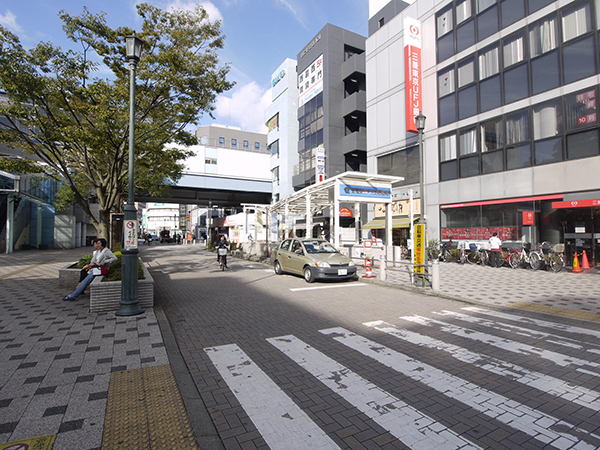 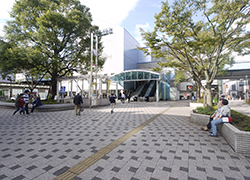 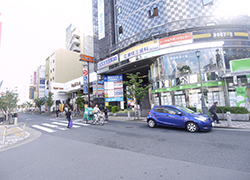 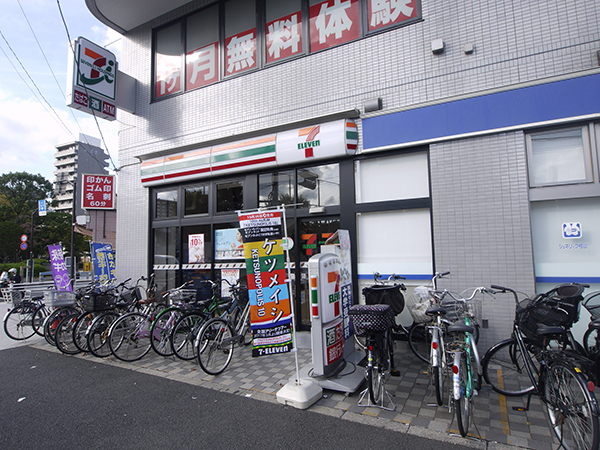 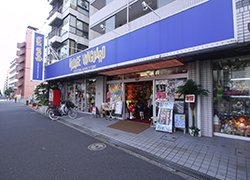 There are sufficient supermarkets and restaurants and TSUTAYA around Nishi Kasai station. 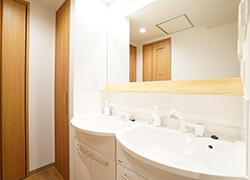 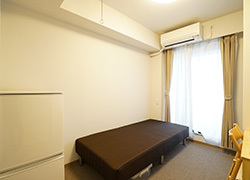 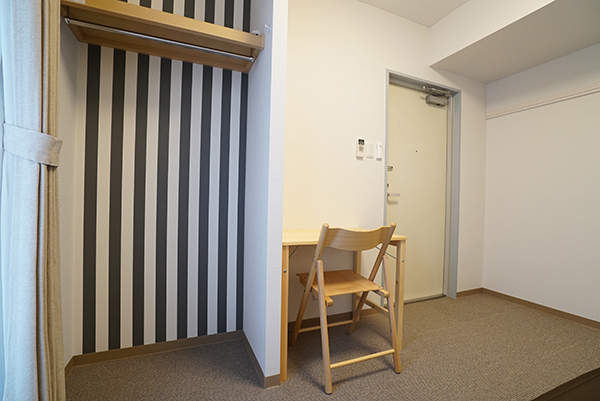 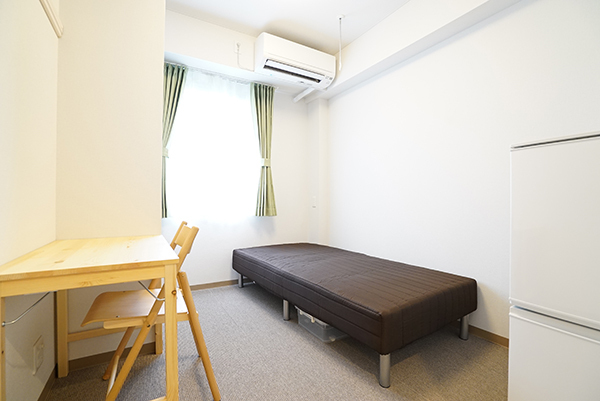 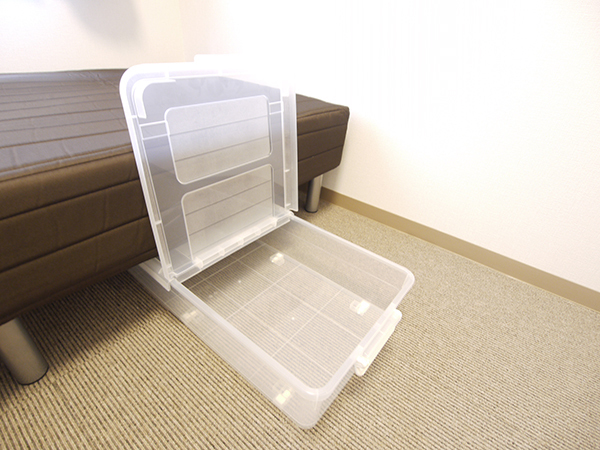 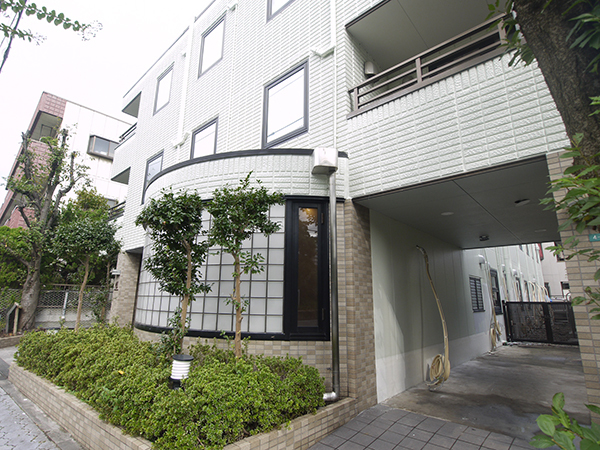 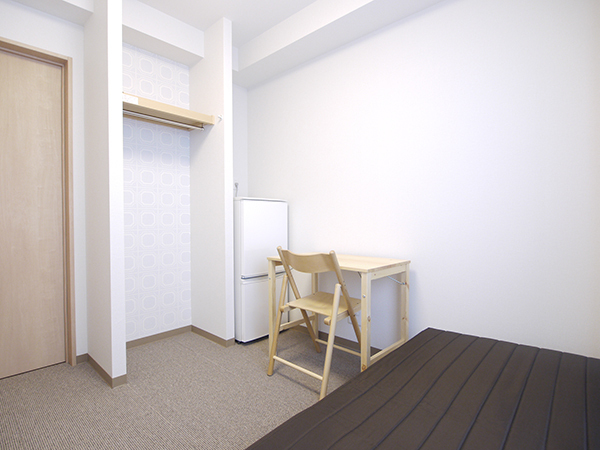 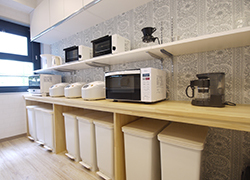 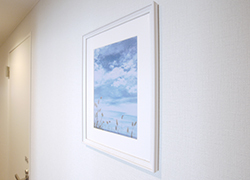 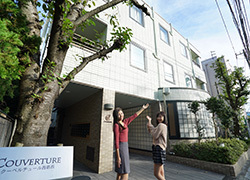 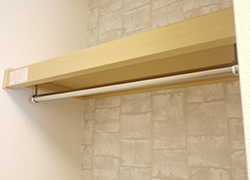 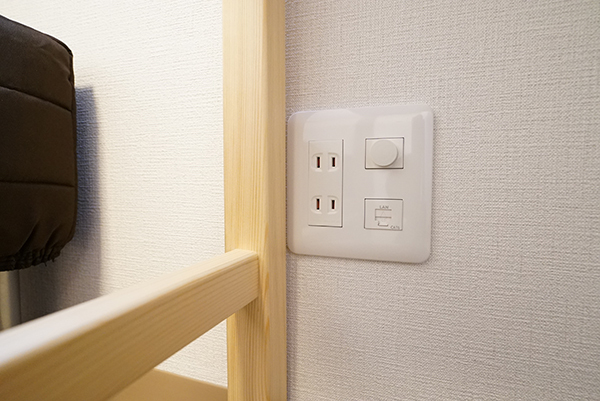 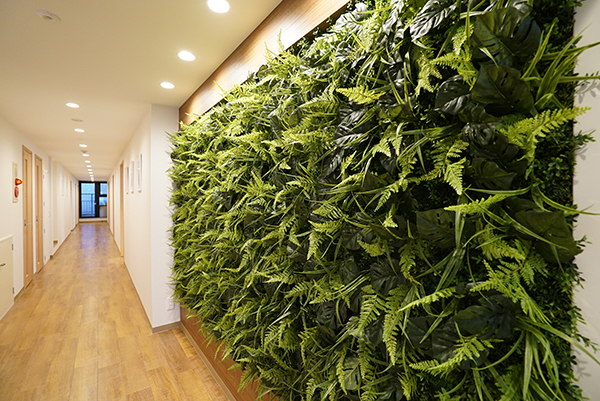 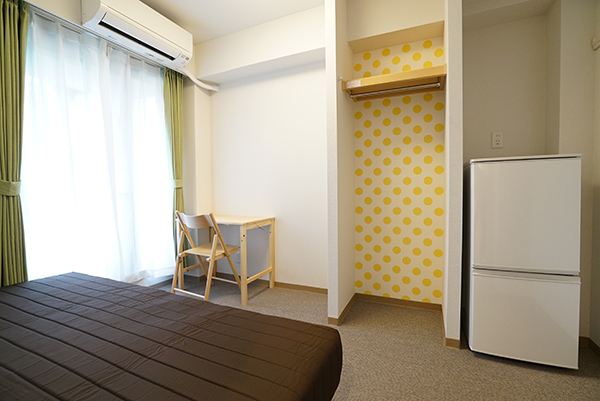 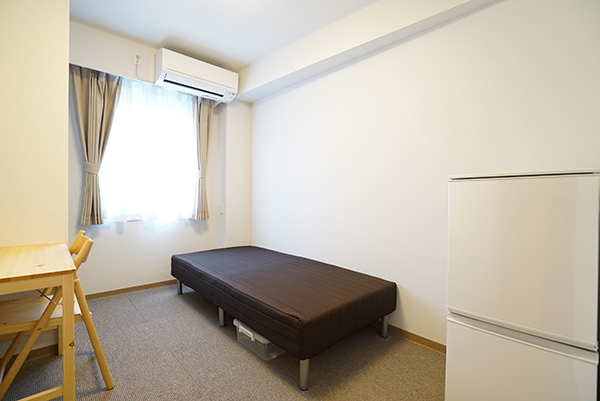 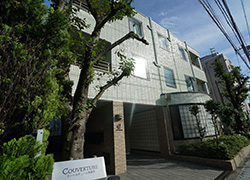 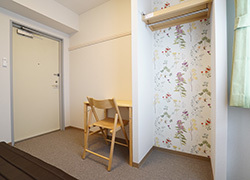 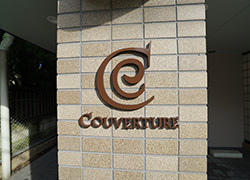 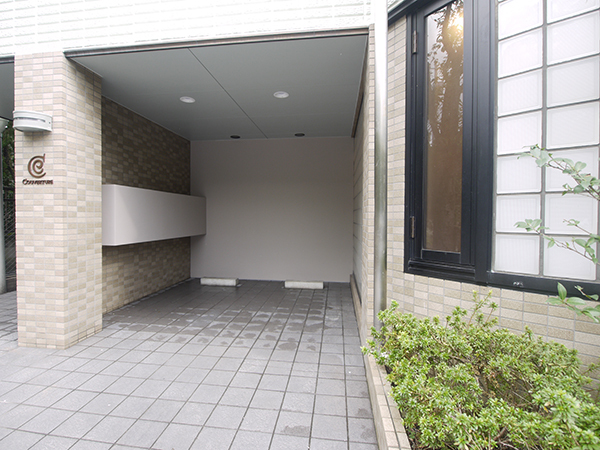 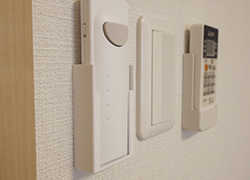 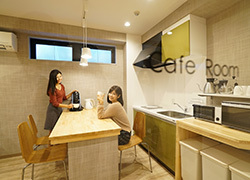 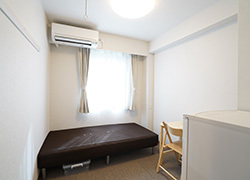 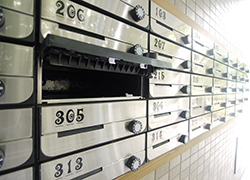 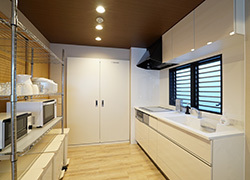 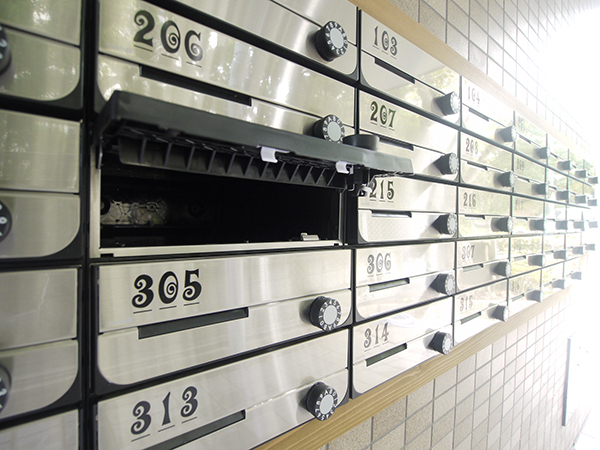 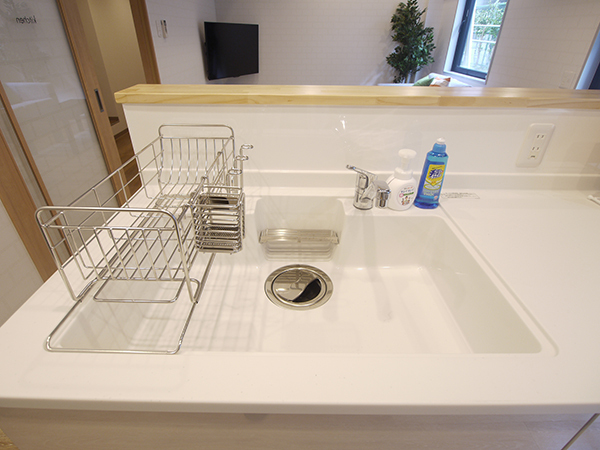 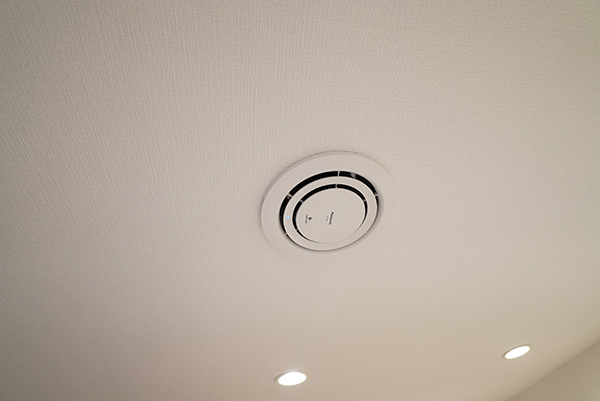 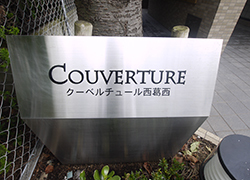 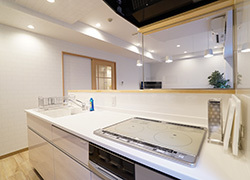 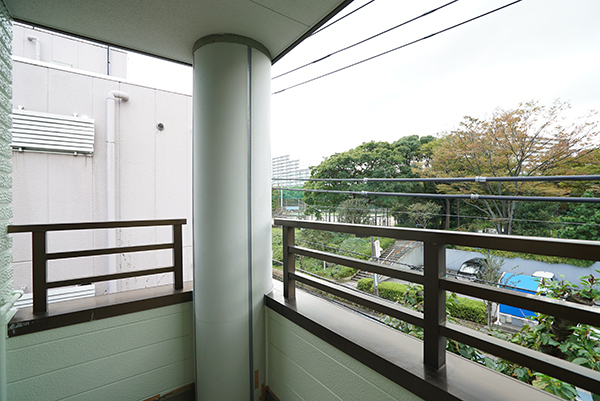 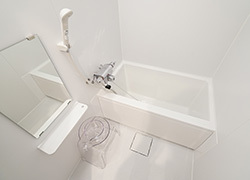 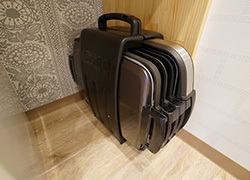 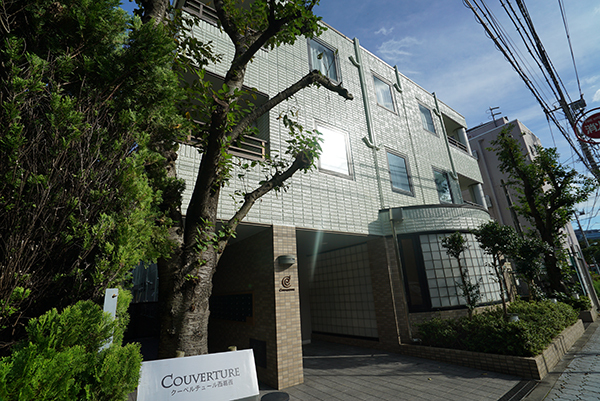 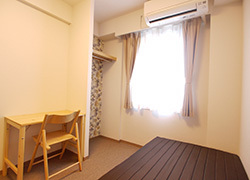 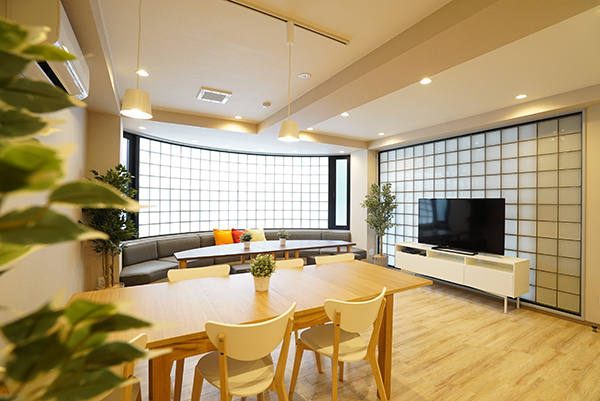 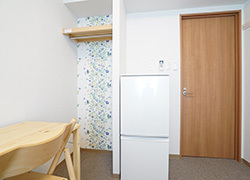 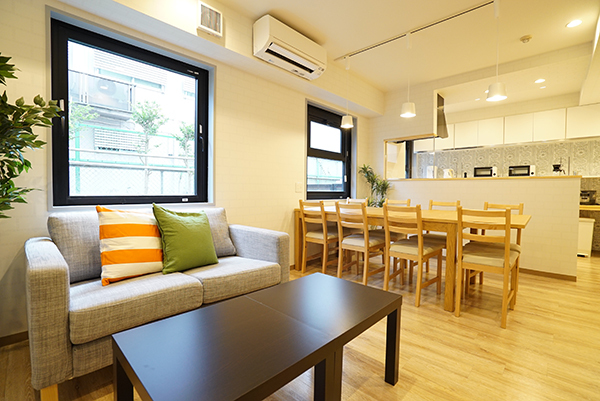 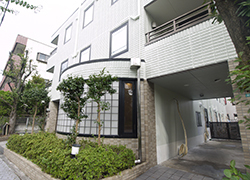 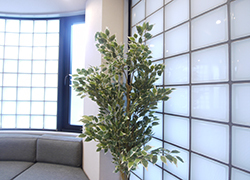 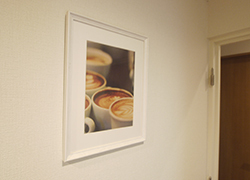 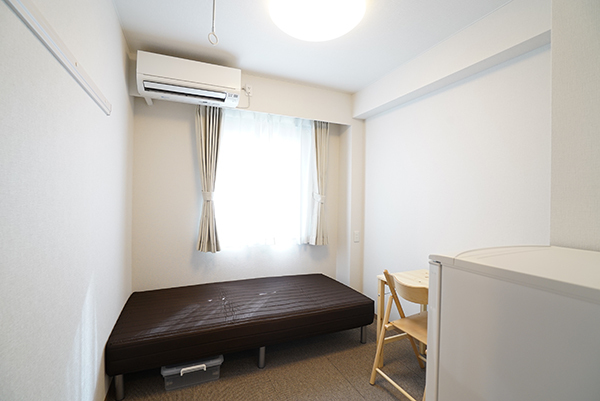 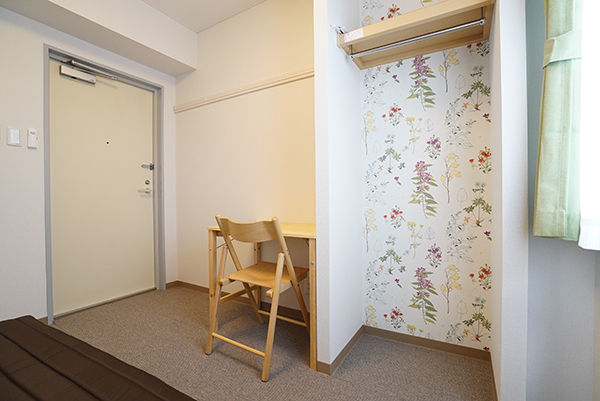 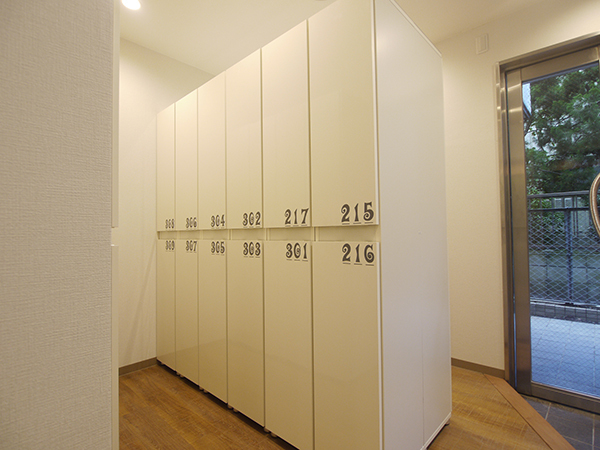 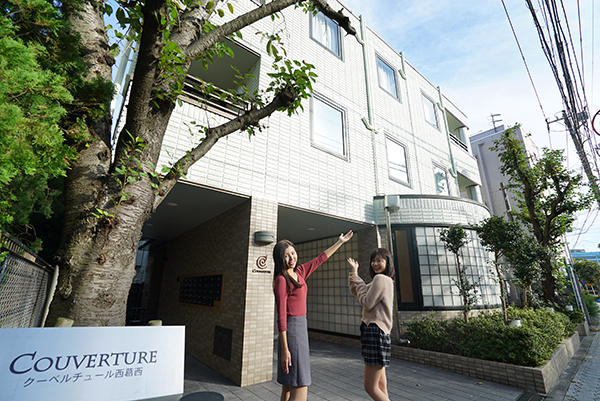 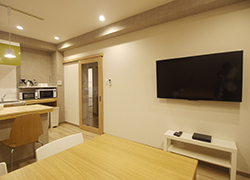 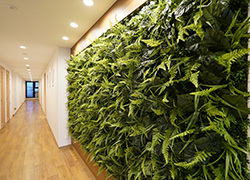 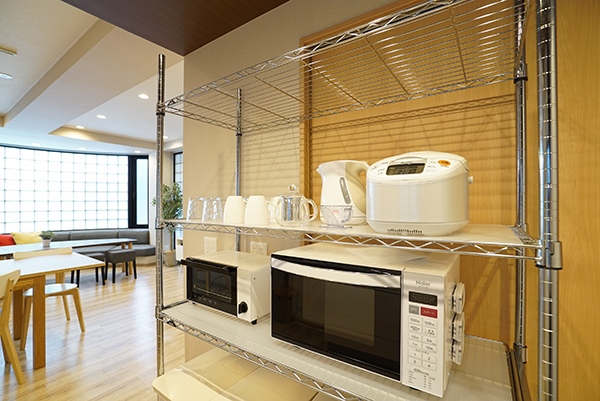 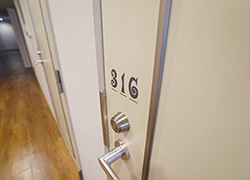 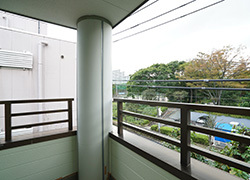 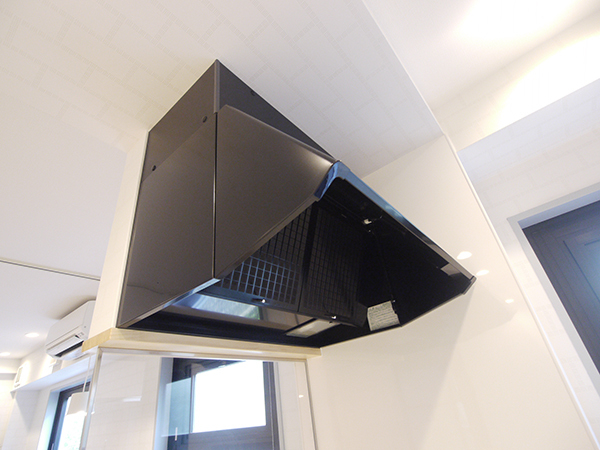 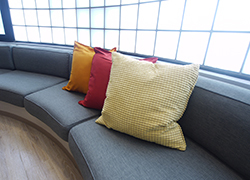 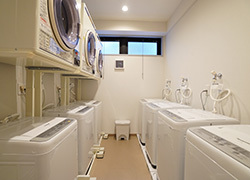 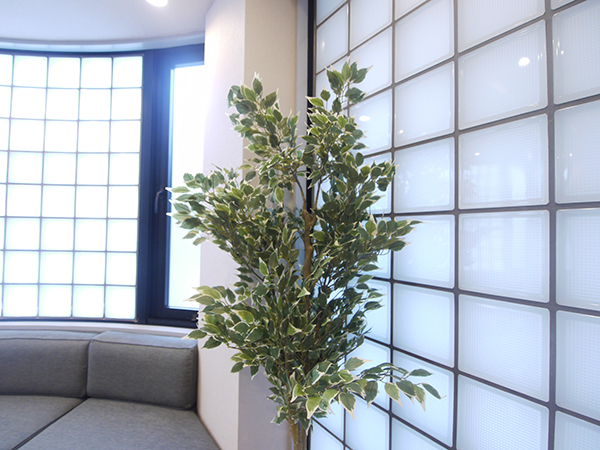 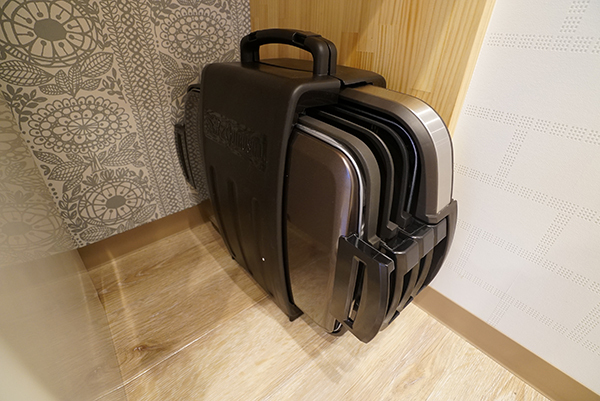 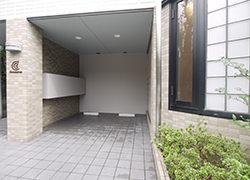 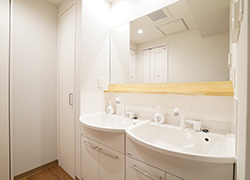 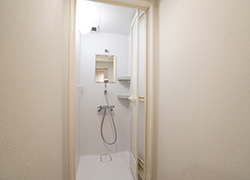 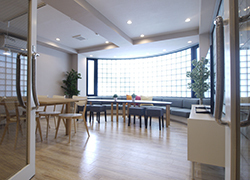 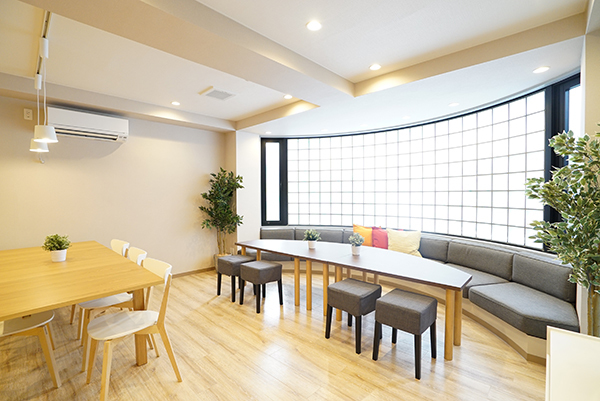 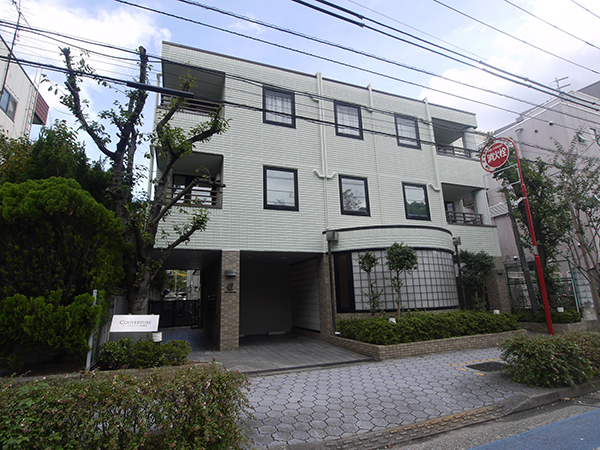 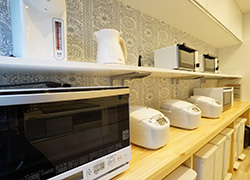 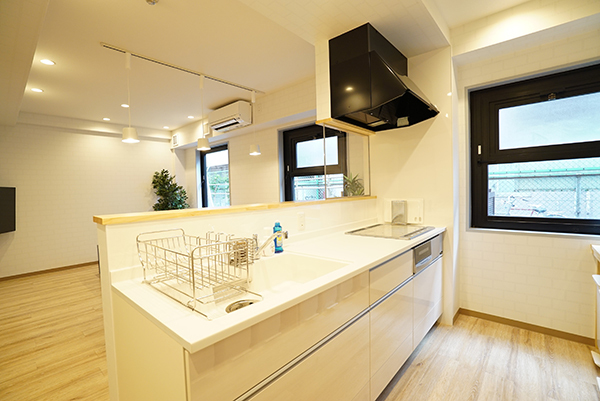 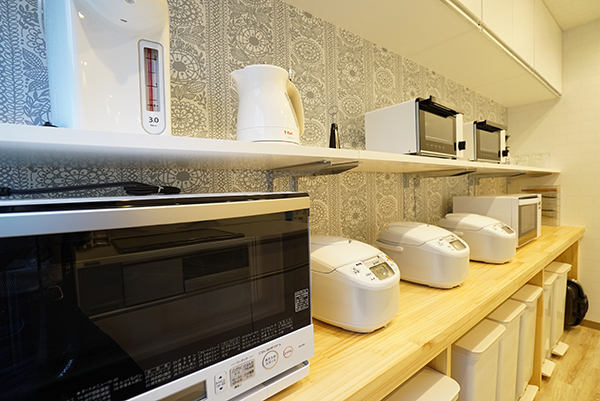 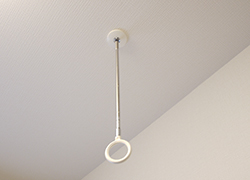 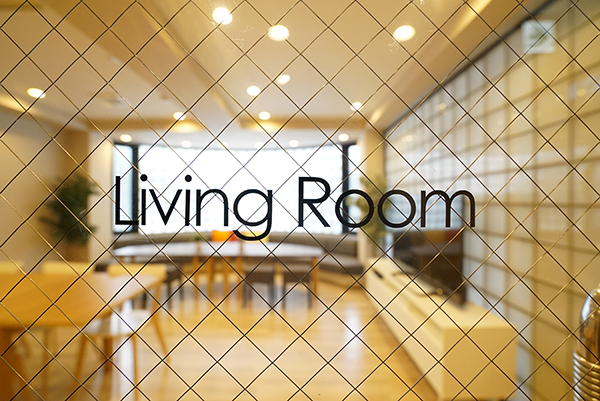 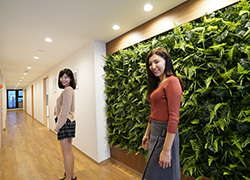 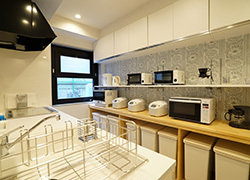 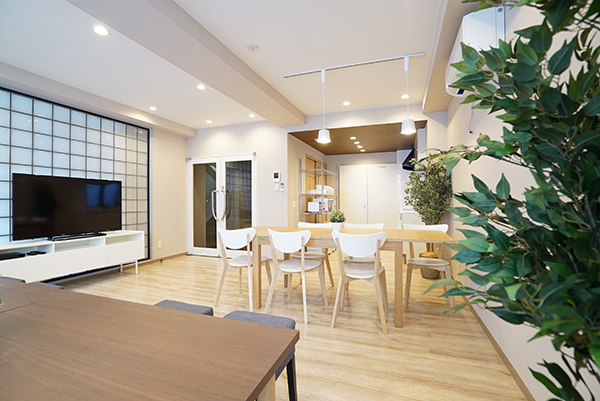 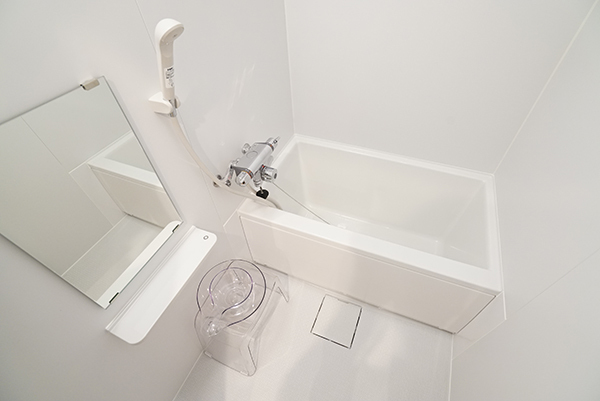 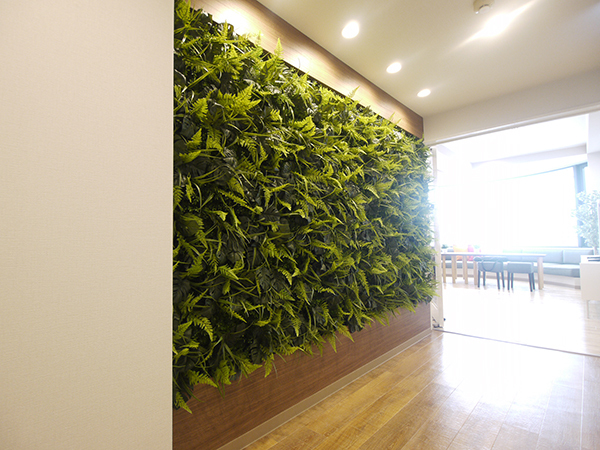 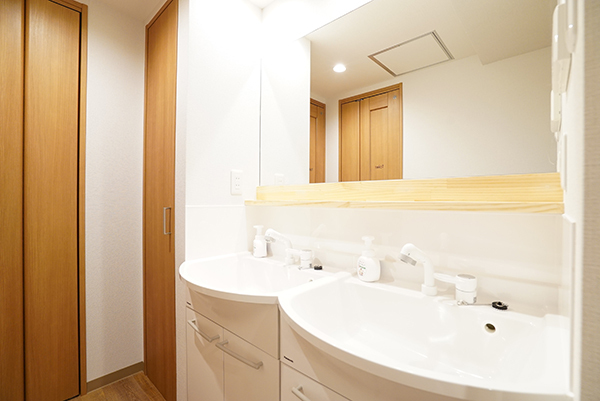 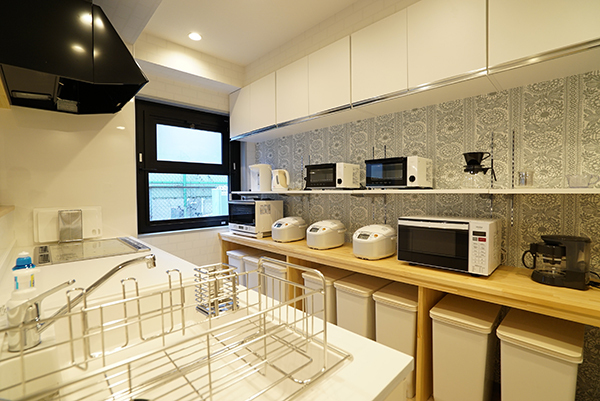 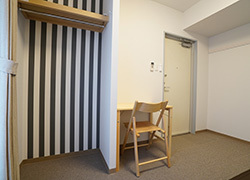 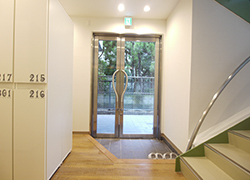 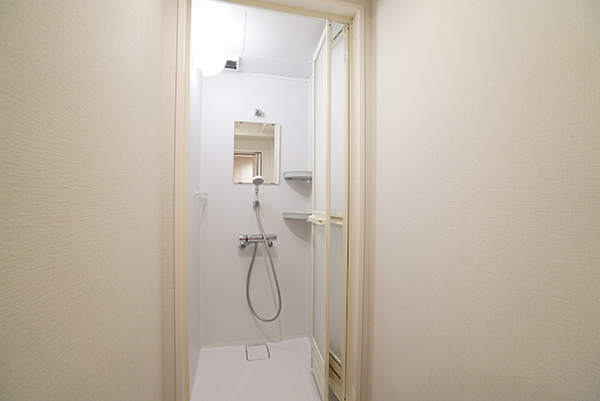 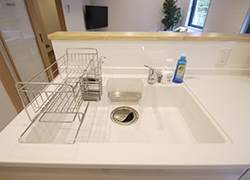 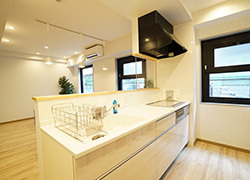 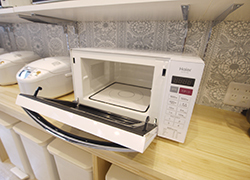 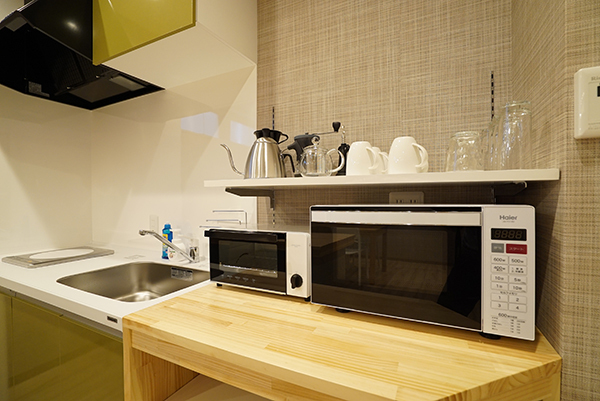 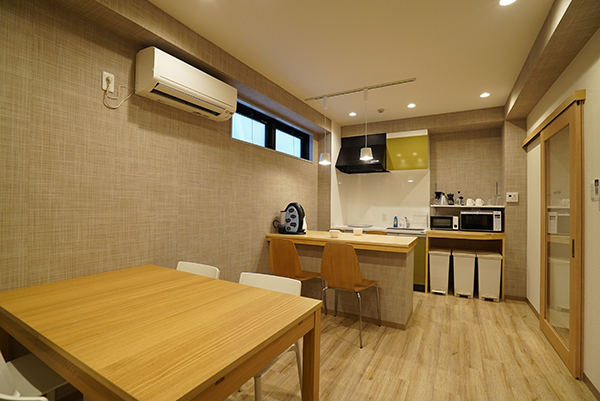 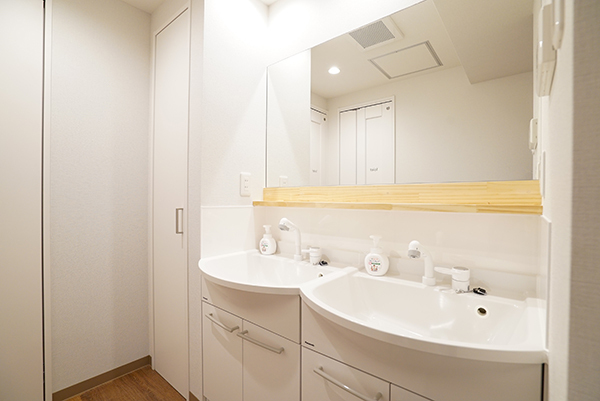 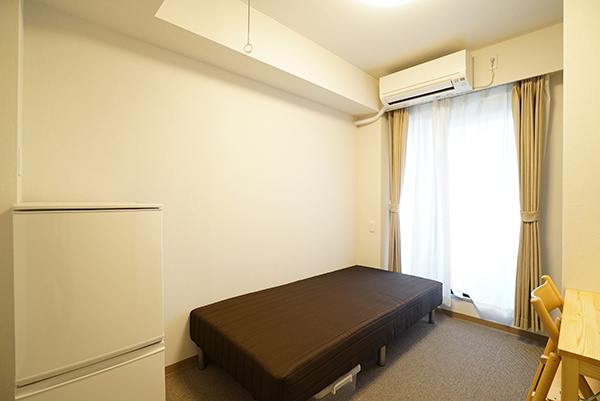 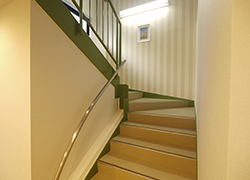 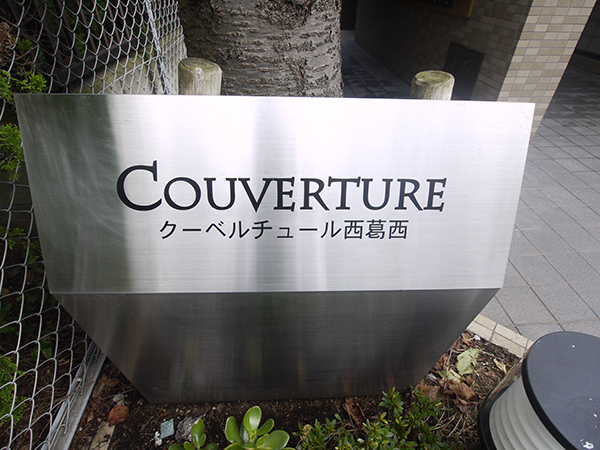 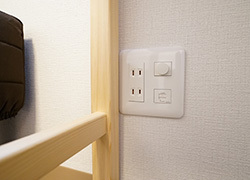 "Couverture Nishikasai" is a share house (38 rooms) for both men and women residents. 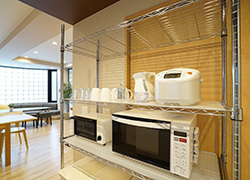 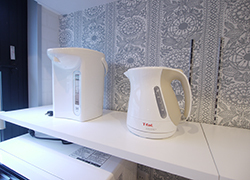 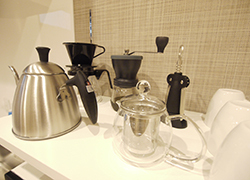 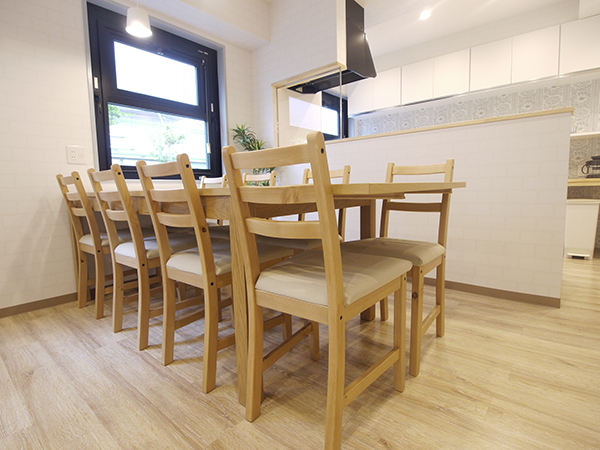 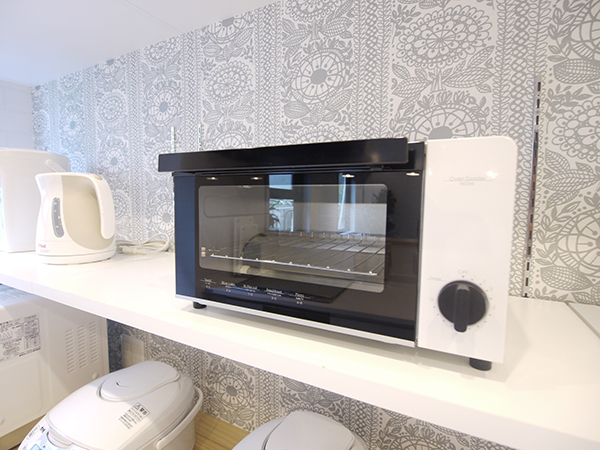 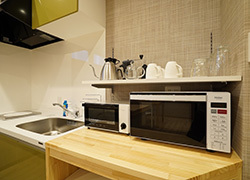 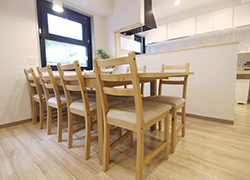 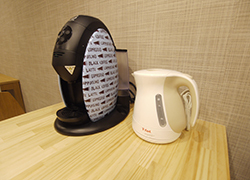 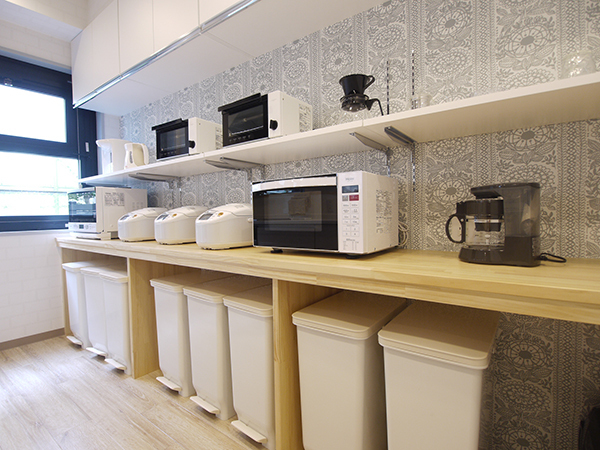 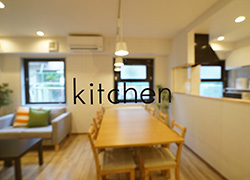 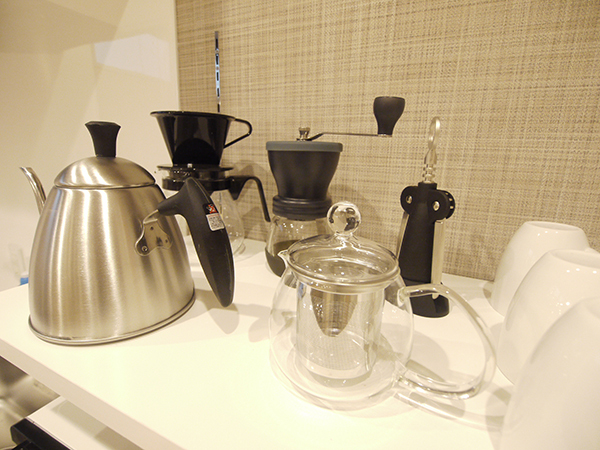 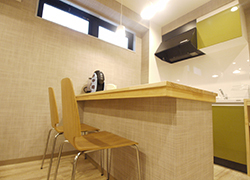 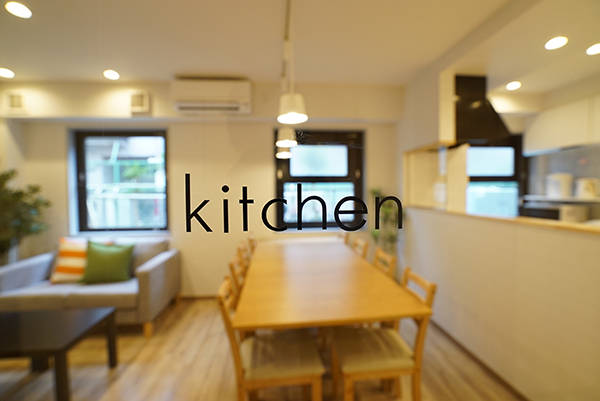 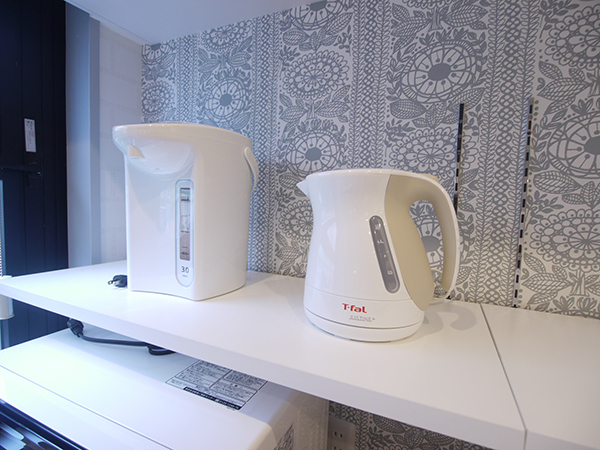 The large main living, the main kitchen room and a cafe room are available for various uses every day. 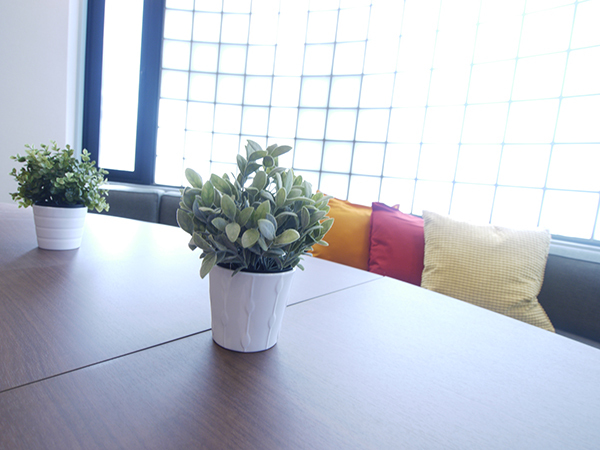 Try choosing on your mood of the day. 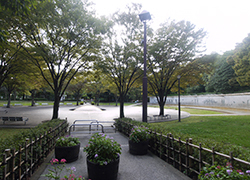 You will be looking forward to seeing the cherry blossoms next to the entrance in full bloom in the spring. 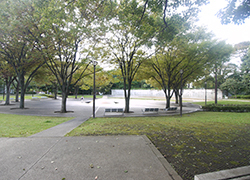 There is also a general recreation park right in front of the house. 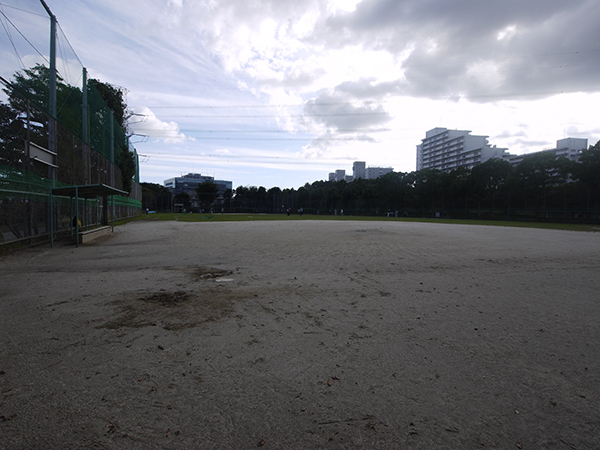 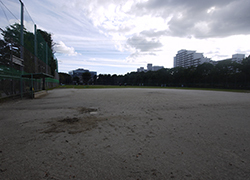 Not only jogging in the green, you can also enjoy baseball games and tennis, boats, a stage square, and a garden. 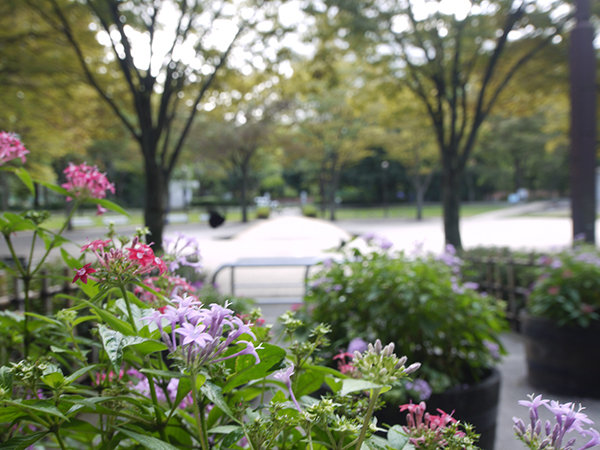 Picnic with your housemates on a holiday♪ would be one of your plans. 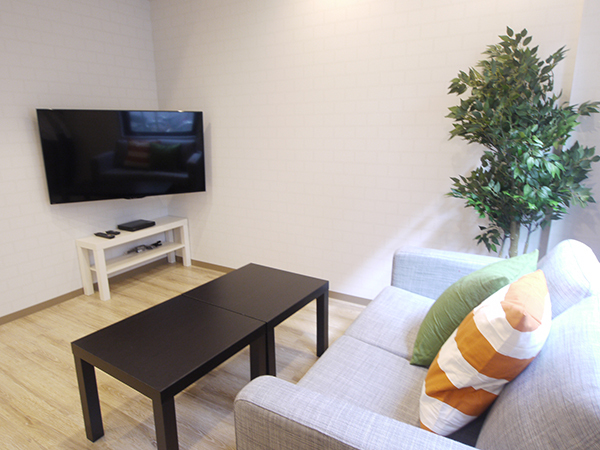 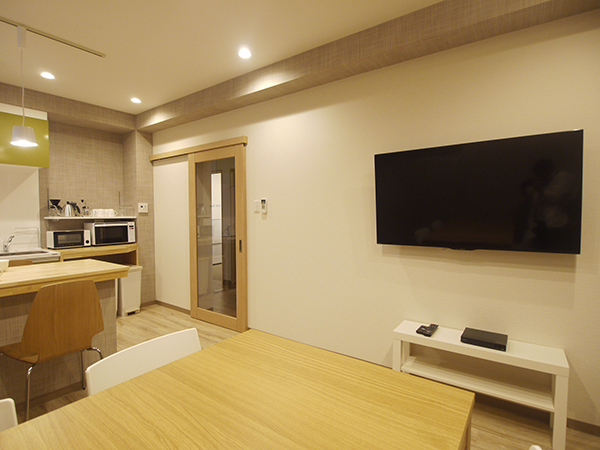 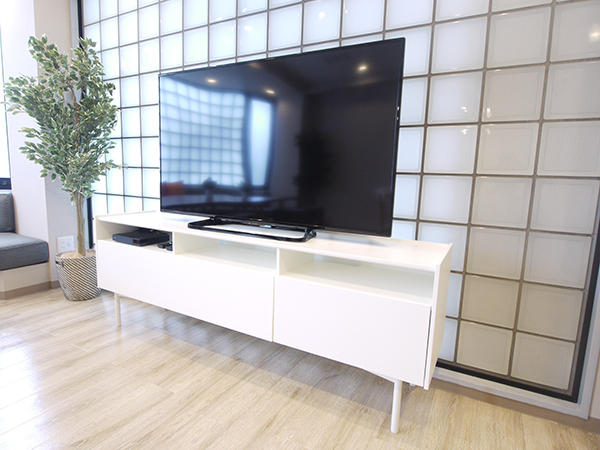 In order for you to relax in your private room, we offer a monthly rental service for TV (20-inch) and DVD recorder and Wifi router. There is a bus directly heading Urayasu station from Nishikasai station and it takes 7 minutes. 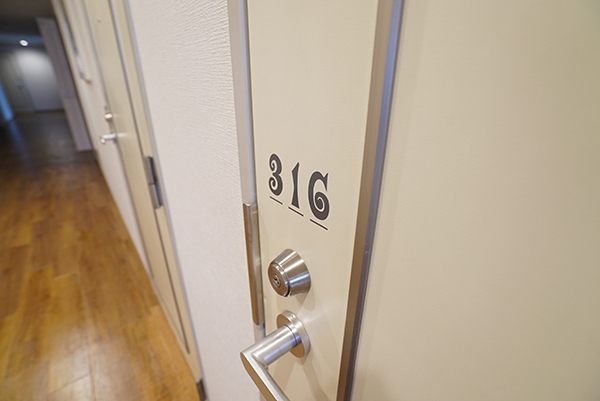 You might want to try this if you are a huge fun of Tokyo disney resort. 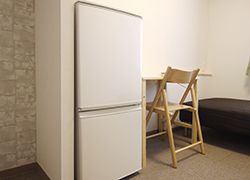 Two door refrigerator, air conditioner, bed, desk, indoor drying pole, curtain, Coaxial cable outlet for TV, LAN outlet outlet, opencloset. 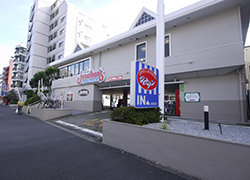 Several super market is available within 5 minutes. Several pharmacy is available within 5 minutes. 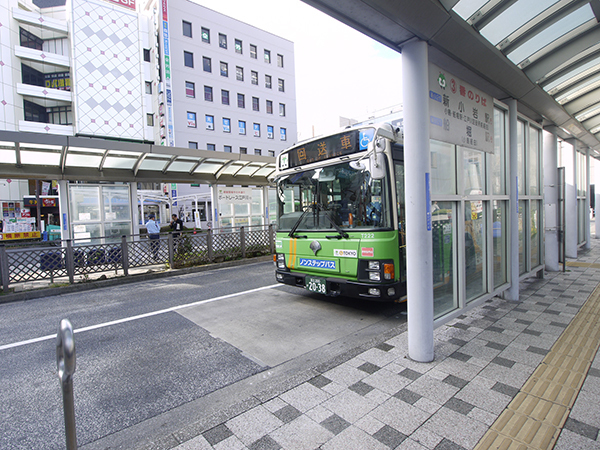 5 minutes to DAISO、5 minutes to TSUTSYA、4 minutes to KALDI, Edogawa athletic center （\210） to 12 minutes. 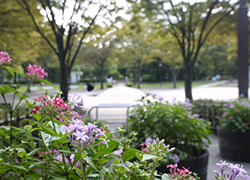 Cherry blossom at the entrance. Place to hang your clothes dry. 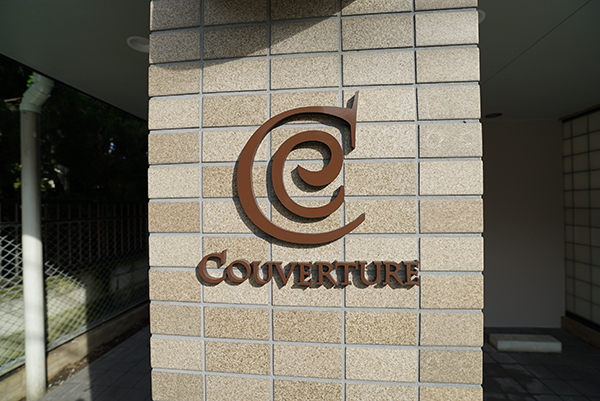 Suit for any kind of situation. 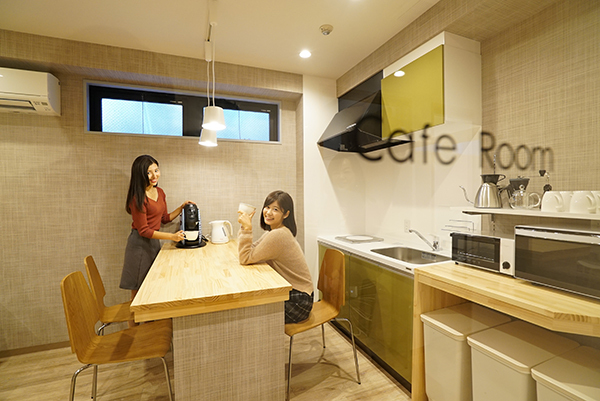 You can pick latte or capucino for your coffe. 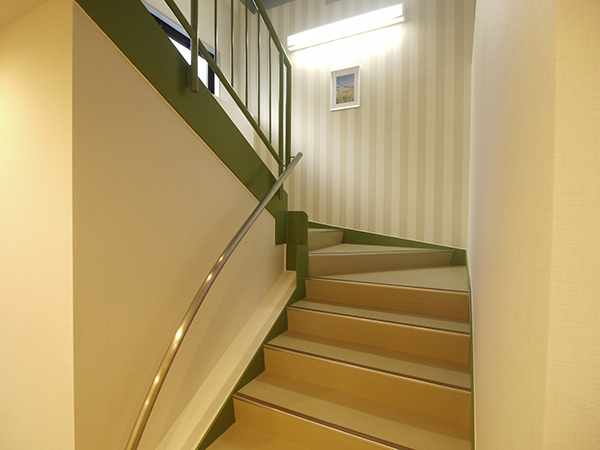 There are several rooms up stairs. 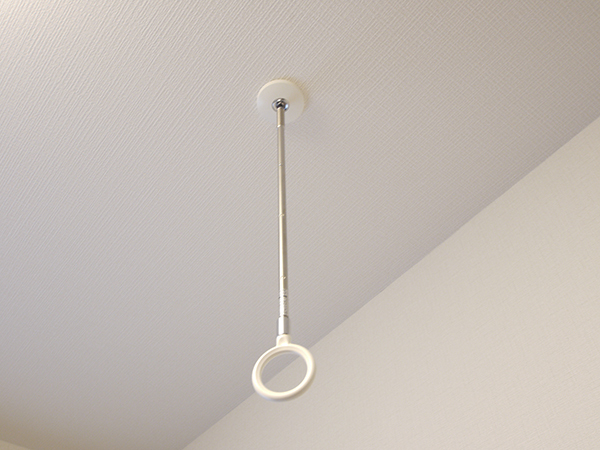 You can place something there. 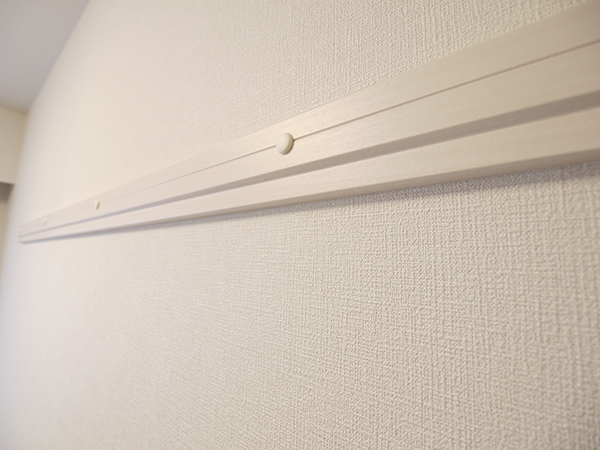 There is lock of course. 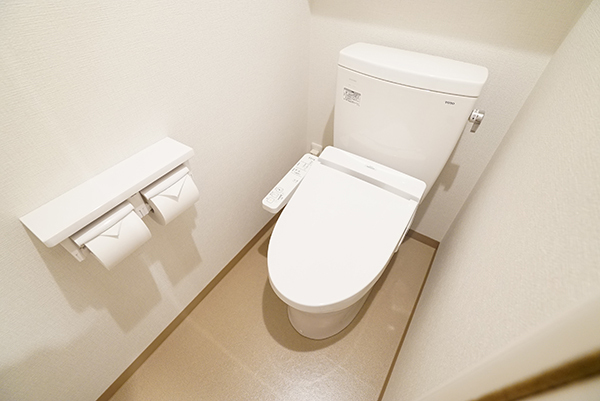 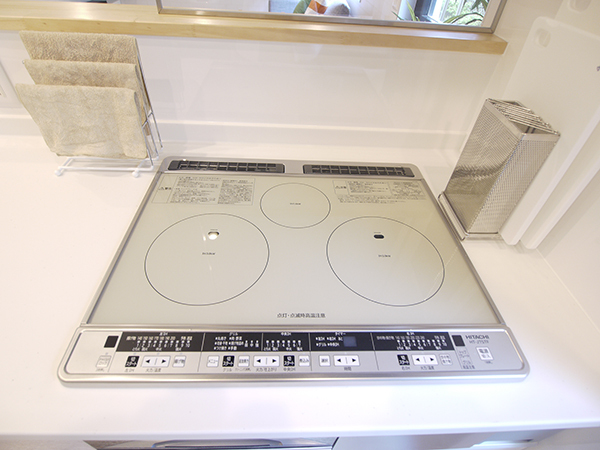 All toilette has bide function. 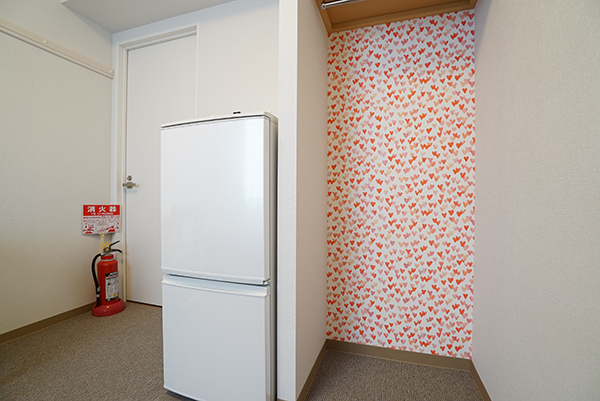 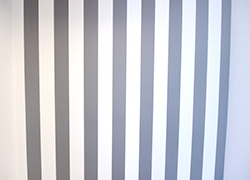 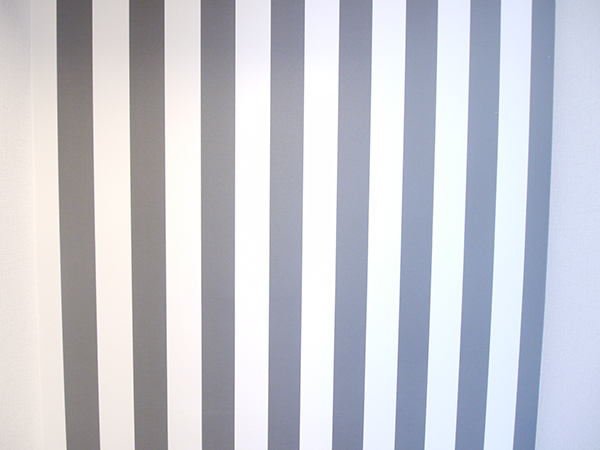 Wall paper of room 210. 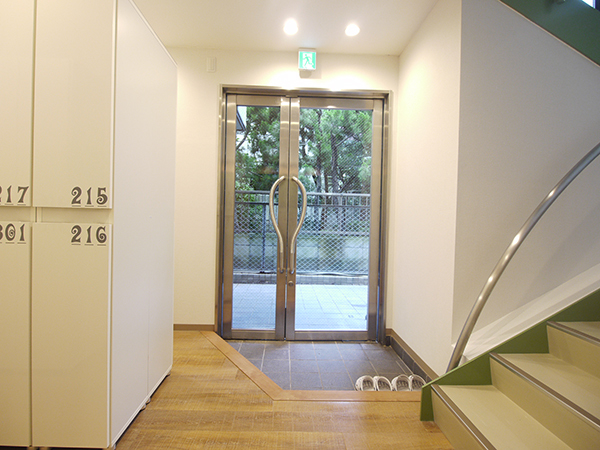 Lock on the door for whole private space. 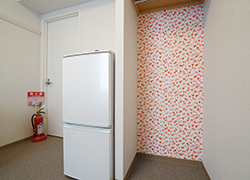 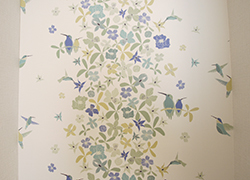 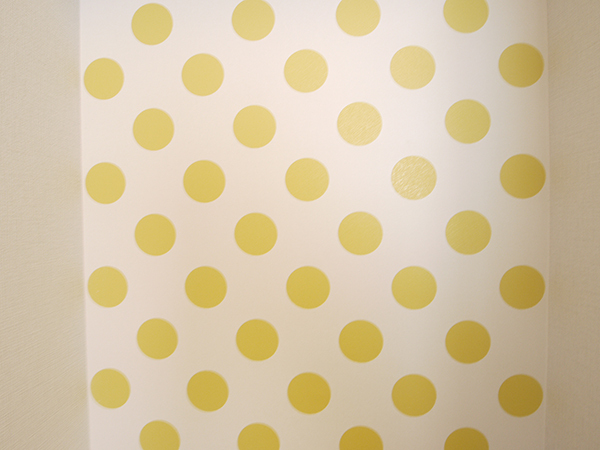 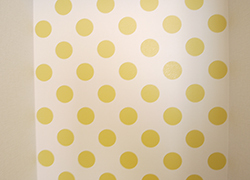 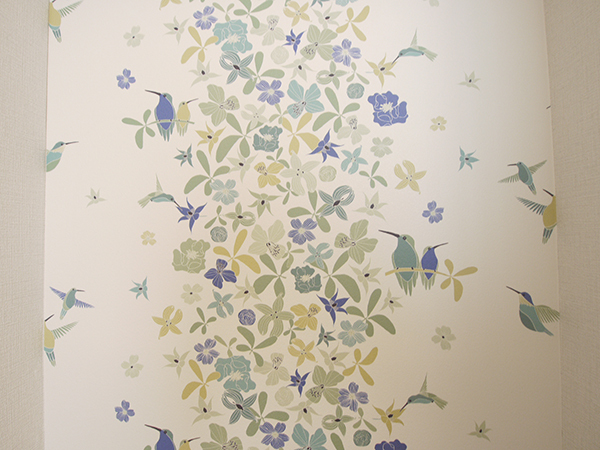 Wall paper of room 207 and 301. 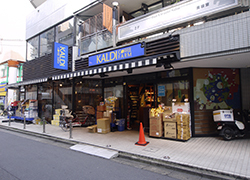 You can stock something here. 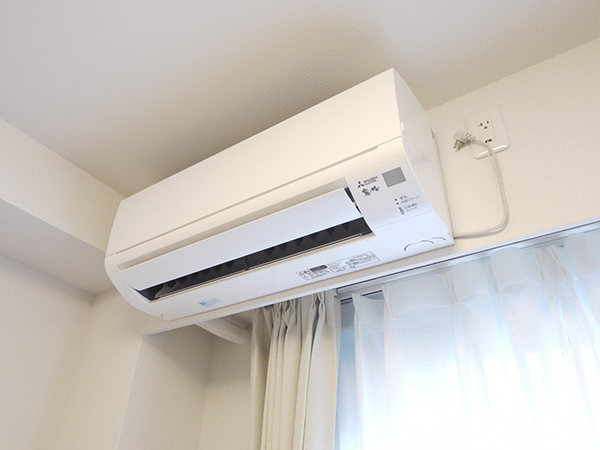 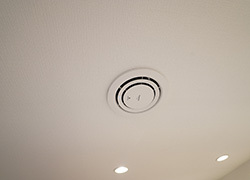 Air conditioning for all room. 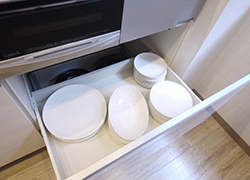 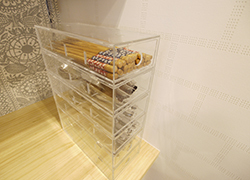 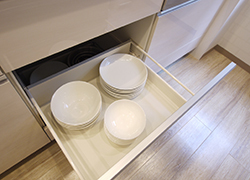 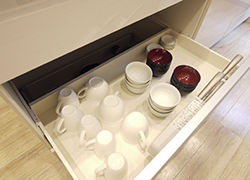 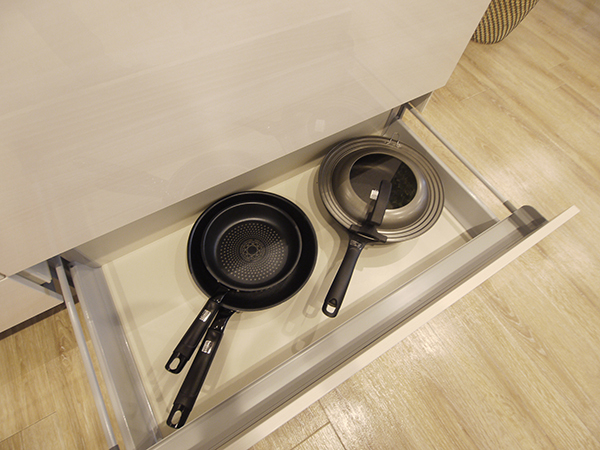 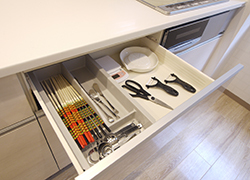 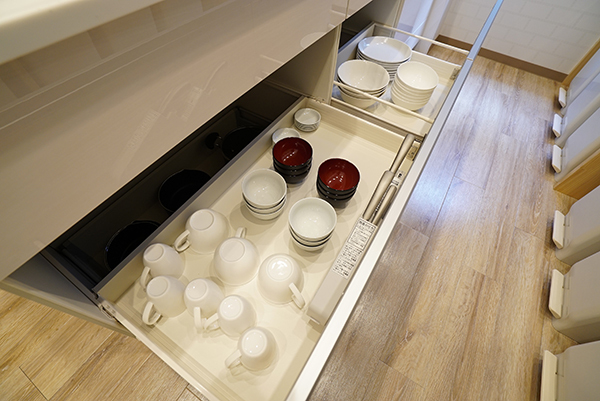 Private drawer in each room. 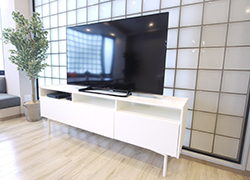 LAN output and TV output. Here is the way you use! 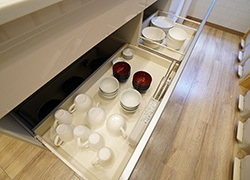 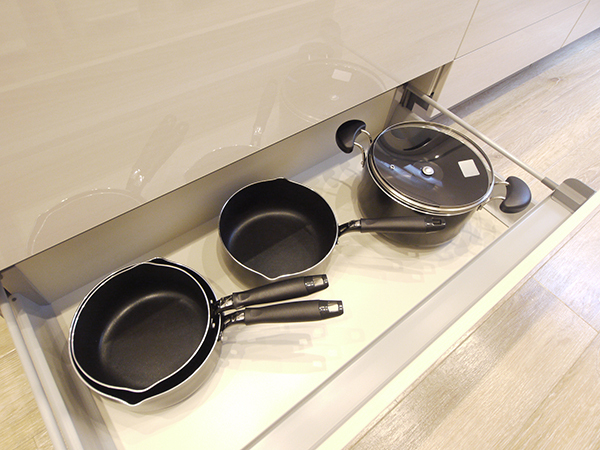 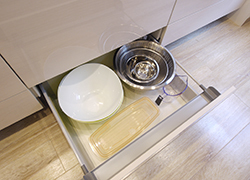 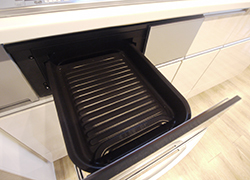 We provide dishes and so on. 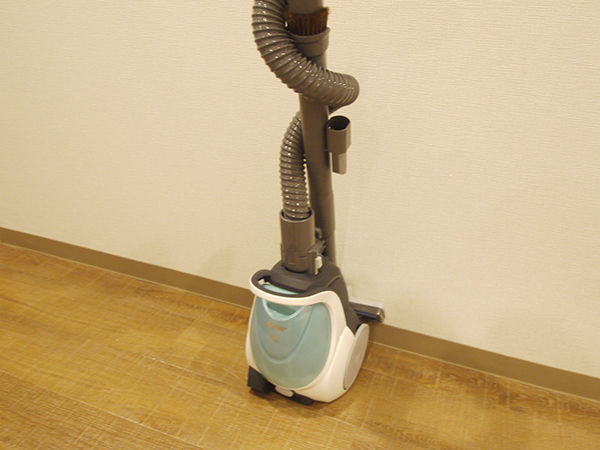 You can draw them easily. 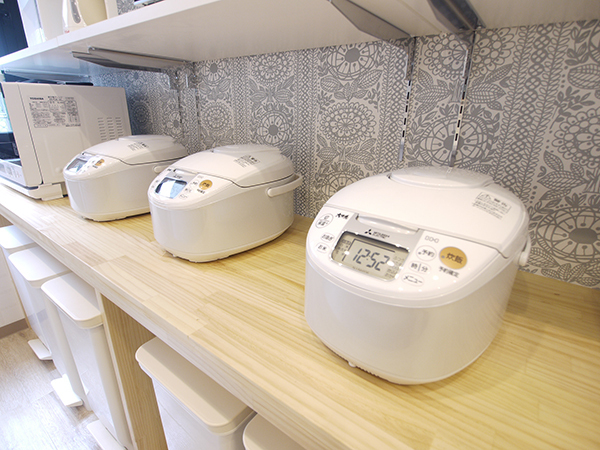 You can bake if you want! 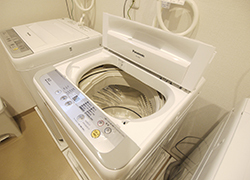 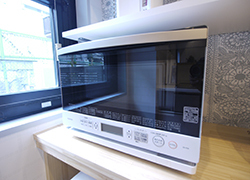 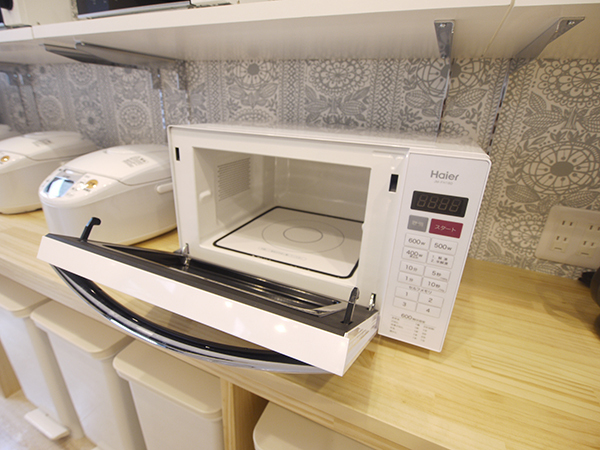 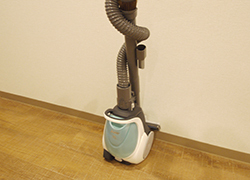 100 yen/30 minutes for drying machine. 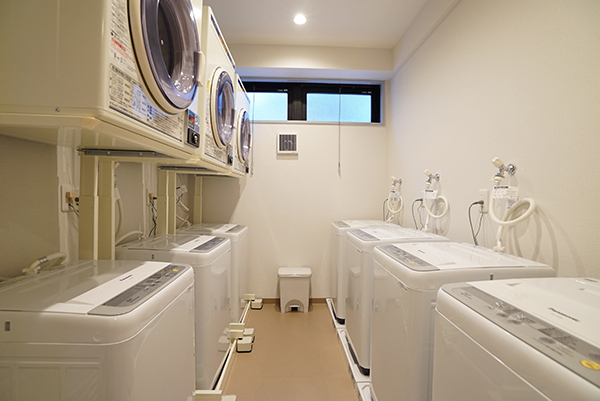 Laundry room for 24 hours. 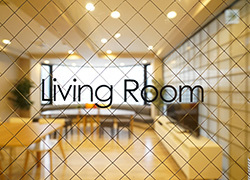 You can explore the house. 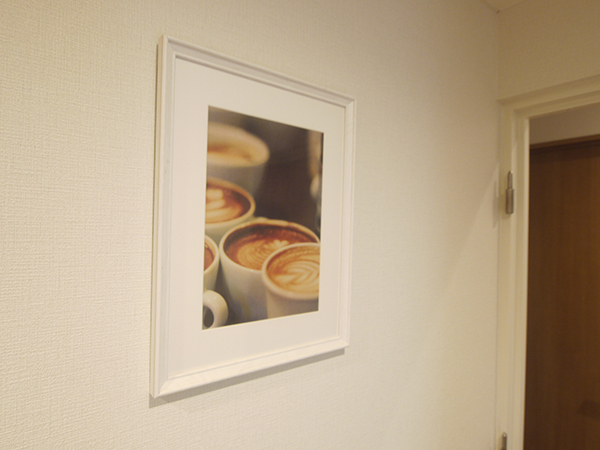 Let's pick up your favorite picture. 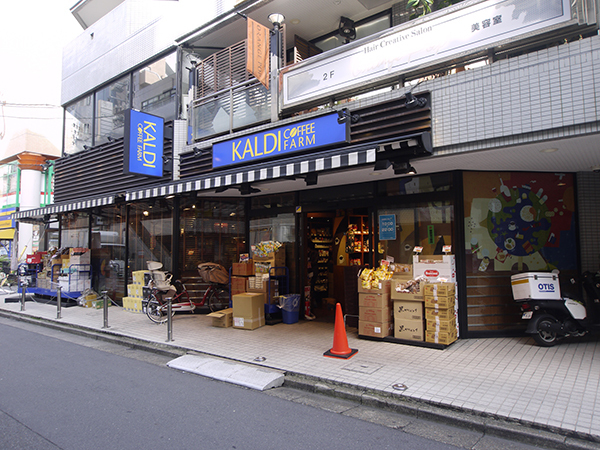 Fancy shop close to the house. 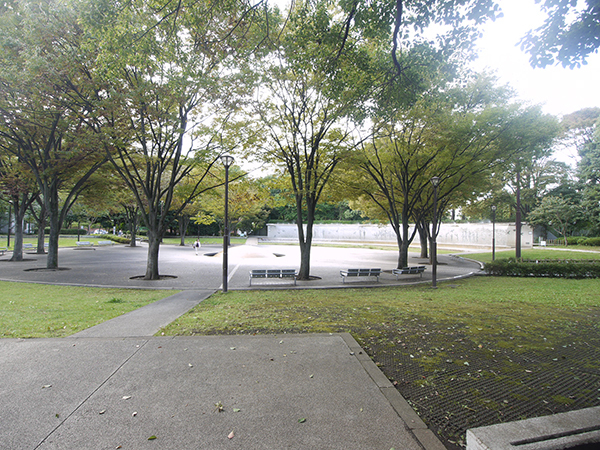 Park in front of the house. 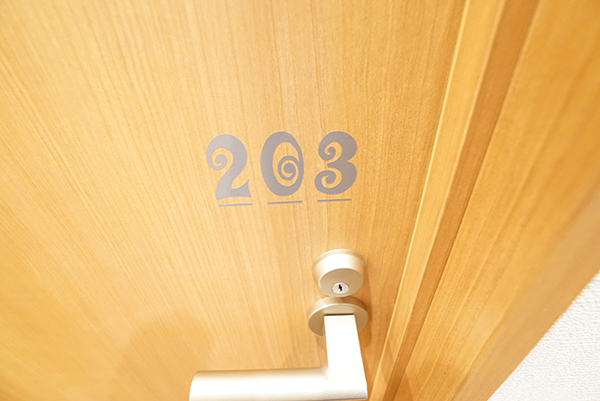 Hope you will find your best way to stay!